Some of you might recall this post which quoted the Vilna Gaon as saying that a war between Russia and Turkey would be a precursor to the Messiah's arrival. Someone questioned whether the Gaon actually said that. 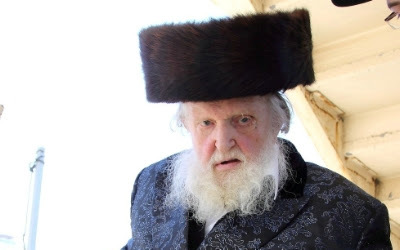 Thanks to Yonatan H who put me onto this audio of Rabbi Moshe Shternbuch, the head of the Badatz Eida Haredith in Jerusalem who says in the name of the Gaon (known as the Gra) that if Russia conquers Istanbul, get ready for the Messiah's arrival. For the Hebrew readers, there's more here (including the audio). Are certain rabbi type people more followable than the Torah? I'd say no. The human job description outlined in the Torah is making the world a better place for human life. It is out of humans' job description to not make the world better for waiting. Or to let badness go on for waiting. And, BTW, I've got the same response to Christians in places like the US, who may sit and observe flames, death and destruction, thinking it is Revelation unfolding. We have not been given the knowledge of when it is "Revelation" and when it is human Deatheaters rampaging, whom we need to face down as part of our making-life-better Torah job description.